Preheat oven to 180° C and place in a roasting pan filled halfway with warm/hot water. 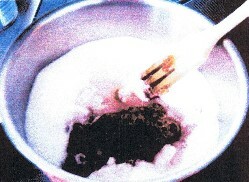 In a saucepan heat coconut milk and cream but do not boil them. Whisk eggs, sugar, vanilla, add salt and add warm coconut milk and cream. 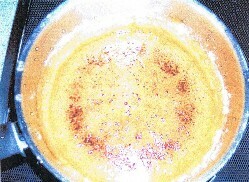 Pour flan mixture into a soufflé dish already with caramel. 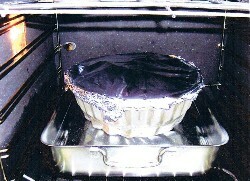 Cover loosely with aluminium foil paper and place in oven for 50-60 min. until a knife inserted in center comes out clean. Let it cool and place in fridge. 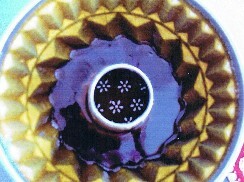 Shake gently to loosen it and then place serving dish on mold and invert. Sprinkle some dry coconut flakes. Tip: It´s more consistent if unmolded the following day. 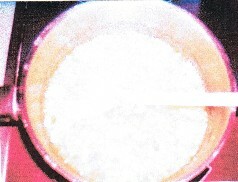 - Put 2 cups of sugar and 4 Tbsp water in a saucepan at high temperature. - Wait until it starts to brown and stir continuously to prevent lumbs. 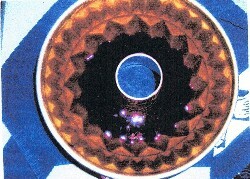 - Pour it into a mold (like a soufflé dish) and carefully cover all its inner surface.